Davoody, M., Abdul Raman, A., Asgharzadeh Ahmadi, S., Binti Ibrahim, S., Parthasarathy, R. (2018). Determination of Volumetric Mass Transfer Coefficient in Gas-Solid-Liquid Stirred Vessels Handling High Solids Concentrations: Experiment and Modeling. Iranian Journal of Chemistry and Chemical Engineering (IJCCE), 37(3), 195-212. Meysam Davoody; Abdul Aziz Abdul Raman; Seyedali Asgharzadeh Ahmadi; Shaliza Binti Ibrahim; Rajarathinam Parthasarathy. "Determination of Volumetric Mass Transfer Coefficient in Gas-Solid-Liquid Stirred Vessels Handling High Solids Concentrations: Experiment and Modeling". Iranian Journal of Chemistry and Chemical Engineering (IJCCE), 37, 3, 2018, 195-212. Davoody, M., Abdul Raman, A., Asgharzadeh Ahmadi, S., Binti Ibrahim, S., Parthasarathy, R. (2018). 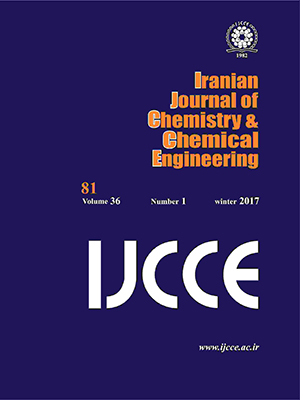 'Determination of Volumetric Mass Transfer Coefficient in Gas-Solid-Liquid Stirred Vessels Handling High Solids Concentrations: Experiment and Modeling', Iranian Journal of Chemistry and Chemical Engineering (IJCCE), 37(3), pp. 195-212. Davoody, M., Abdul Raman, A., Asgharzadeh Ahmadi, S., Binti Ibrahim, S., Parthasarathy, R. Determination of Volumetric Mass Transfer Coefficient in Gas-Solid-Liquid Stirred Vessels Handling High Solids Concentrations: Experiment and Modeling. Iranian Journal of Chemistry and Chemical Engineering (IJCCE), 2018; 37(3): 195-212. Rigorous analysis of the determinants of volumetric mass transfer coefficient (kLa) and its accurate forecasting are of vital importance for effectively designing and operating stirred reactors. Majority of the available literature is limited to systems with low solids concentration, while there has always been a need to investigate the gas-liquid hydrodynamics in tanks handling high solid loadings. Several models have been proposed for predicting kLa values, but the application of neuro-fuzzy logic for modelingkLa based on combined operational and geometrical conditions is still unexplored. In this paper, an ANFIS (adaptive neuro-fuzzy inference system) model was designed to map three operational parameters (agitation speed (RPS), solid concentration, superficial gas velocity (cm/s)) and one geometrical parameter (number of curved blades) as input data, to kLa as output data. Excellent performance of ANFIS’s model in predicting kLa values was demonstrated by various performance indicators with a correlation coefficient of 0.9941. Nienow A., Konno M., Bujalski W., Studies on Three-Phase Mixing: A Review and Recent Results, Chemical Engineering Research & Design, 64(1): 35-42 (1986). Frijlink J., Bakker A., Smith J., Suspension of Solid Particles with Gassed Impellers, Chemical Engineering Science, 45(7): 1703-1718 (1990). Rewatkar V.B., Rao K.R., Joshi J.B., Critical Impeller Speed for Solid Suspension in Mechanically Agitated Three-Phase Reactors. 1. Experimental Part, Industrial & Engineering Chemistry Research, 30(8): 1770-1784 (1991). Dutta N., Pangarkar V., Critical Impeller Speed for Solid Suspension in Multi‐Impeller Three Phase Agitated Contactors, The Canadian Journal of Chemical Engineering, 73(3): 273-283 (1995). Saravanan K., Patwardhan A., Joshi J., Critical Impeller Speed for solid Suspension in Gas Inducing Type Mechanically Agitated Contactors, The Canadian Journal of Chemical Engineering, 75(4): 664-676 (1997). Doran P.M., Design of Mixing Systems for Plant Cell Suspensions in Stirred Reactors, Biotechnology Progress, 15(3): 319-335 (1999). Dohi N., et al., Suspension of Solid Particles in Multi‐Impeller Three‐Phase Stirred Tank Reactors, The Canadian Journal of Chemical Engineering, 79(1): 107-111 (2001). Fishwick R., Winterbottom J., Stitt E., Effect of Gassing Rate on Solid–Liquid Mass Transfer Coefficients and Particle Slip Velocities in Stirred Tank Reactors, Chemical Engineering Science, 58(3): 1087-1093 (2003). Kluytmans J., et al., Mass Transfer in Sparged and Stirred Reactors: Influence of Carbon Particles and Electrolyte, Chemical Engineering Science, 58(20): 4719-4728 (2003). Martín M., Montes F.J., Galán M.A., Mass Transfer Rates From Bubbles in Stirred Tanks Operating with Viscous Fluids, Chemical Engineering Science, 65(12): 3814-3824 (2010). Danckwerts P.V., Lannus A., Gas‐Liquid Reactions, Journal of The Electrochemical Society, 117(10): 369C-370C (1970). Van't Riet K., Review of Measuring Methods and Results in Nonviscous Gas-Liquid Mass Transfer in Stirred Vessels, Industrial & Engineering Chemistry Process Design and Development, 18(3): 357-364 (1979). Beenackers A., Van Swaaij W., Mass Transfer in Gas-Liquid Slurry Reactors, Chemical Engineering Science, 48(18): 3109-3139 (1993). Nienow A.W., “Aeration, Biotechnology”, In: Kirk-Othmer Encyclopedia of Chemical Technology, (2003). Puthli M.S., Rathod V.K., Pandit A.B., Gas–Liquid Mass Transfer Studies with Triple Impeller System on a Laboratory Scale Bioreactor, Biochemical Engineering Journal, 23(1): 25-30 (2005). Garcia-Ochoa F., Gomez E., Bioreactor Scale-up and Oxygen Transfer Rate in Microbial Processes: an Overview, Biotechnology Advances, 27(2): 153-176 (2009). Nigam K.D., Schumpe A., “Three-Phase Sparged Reactors”, (1996). Conway K., Kyle A., Rielly C.D., Gas–Liquid–Solid Operation of a Vortex-Ingesting Stirred Tank Reactor, Chemical Engineering Research and Design, 80(8): 839-845 (2002). Mehta V., Sharma M., Mass Transfer in Mechanically Agitated Gas-Liquid Contactors, Chemical Engineering Science, 26(3): 461-479 (1971). Gentile F., et al., Some Effects of Particle Wettability in Agitated Solid‐Gas‐Liquid Systems: Gas‐Liquid Mass Transfer and the Dispersion of Floating Solids, The Canadian Journal of Chemical Engineering, 81(3‐4): 581-587 (2003). Tagawa A., Dohi N., Kawase Y., Volumetric Gas− Liquid Mass Transfer Coefficient in Aerated Stirred Tank Reactors with Dense Floating Solid Particles, Industrial & Engineering Chemistry Research, 51(4): 1938-1948 (2011). Robinson C.W., Wilke C.R., Oxygen Absorption in Stirred Tanks: A Correlation for Ionic Strength Effects, Biotechnology and Bioengineering, 15(4): 755-782 (1973). Robinson C.W., Wilke C.R., Simultaneous Measurement of Interfacial Area and Mass Transfer Coefficients for a Well—Mixed Gas Dispersion in Aqueous Electrolyte Solutions, AIChE Journal, 20(2): 285-294 (1974). Hassan I.T.M., Robinson C.W., Oxygen Transfer in Mechanically Agitated Aqueous Systems Containing Dispersed Hydrocarbon, Biotechnology and Bioengineering, 19(5): 661-682 (1977). Hassan I.T.M., Robinson C.W., Measurement of Bubble Size Distribution in Turbulent Gas-Liquid Dispersions, Chemical Engineering Research & Design, : 62- (1984). Kralj F., Sinc̆ić D., Hold-up and Mass Transfer in a Two- and Three-Phase Stirred Tank Reactor, Chemical Engineering Science, 39(3): 604-607 (1984). Iglesias Nuno A., et al., Optimisation of Fishing Predictions by Means of Artificial Neural Networks, Anfis, Functional Networks and Remote Sensing Images, Expert Systems with Applications, 29(2): 356-363 (2005). Prakash Maran J., et al., Artificial Neural Network and Response Surface Methodology Modeling in Mass Transfer Parameters Predictions During Osmotic Dehydration of Carica Papaya L., Alexandria Engineering Journal, (2013).
. Lertworasirikul S., Saetan S., Artificial Neural Network Modeling of Mass Transfer During Osmotic Dehydration of Kaffir Lime Peel, Journal of Food Engineering, 98(2): 214-223 (2010). Garcı́a-Ochoa F., Castro E.G., Estimation of Oxygen Mass Transfer Coefficient in Stirred Tank Reactors Using Artificial Neural Networks, Enzyme and Microbial Technology, 28(6): 560-569 (2001). Fu K., et al., Experimental Study on Mass Transfer and Prediction Using Artificial Neural Network for CO2 Absorption into Aqueous DETA, Chemical Engineering Science, 100(0): 195-202 (2013). Ochoa-Martínez C.I., Ayala-Aponte A.A., Prediction of Mass Transfer Kinetics During Osmotic Dehydration of Apples Using Neural Networks, LWT - Food Science and Technology, 40(4): 638-645 (2007). Wieland D., Wotawa F., Wotawa G., From Neural Networks to Qualitative Models in Environmental Engineering, Computer-Aided Civil and Infrastructure Engineering, 17(2): 104-118 (2002). Jang J.S.R., ANFIS: Adaptive-Network-Based Fuzzy Inference System, IEEE Transactions on Systems, Man, and Cybernetics, 23: 665-685 (1993). Rahmanian B., et al., Prediction of MEUF Process Performance Using Artificial Neural Networks and ANFIS Approaches, Journal of the Taiwan Institute of Chemical Engineers, 43(4): 558-565 (2012). Mehrabi M., Pesteei S.M., Pashaee G T., Modeling of Heat Transfer and Fluid Flow Characteristics of Helicoidal Double-Pipe Heat Exchangers Using Adaptive Neuro-Fuzzy Inference System (ANFIS), International Communications in Heat and Mass Transfer, 38(4): 525-532 (2011). Rezaei E., et al., Modeling the Free Convection Heat Transfer in a Partitioned Cavity Using ANFIS, International Communications in Heat and Mass Transfer, 39(3): 470-475 (2012). Mullai P., et al., Experiments and ANFIS Modelling for the Biodegradation of Penicillin-G Wastewater Using Anaerobic Hybrid Reactor, Bioresource Technology, 102(9): 5492-5497 (2011). Khazraee S.M., Jahanmiri A.H., Composition Estimation of Reactive Batch Distillation by Using Adaptive Neuro-Fuzzy Inference System, Chinese Journal of Chemical Engineering, 18(4): 703-710 (2010). Heidari E., Ghoreishi S.M., Prediction of Supercritical Extraction Recovery of EGCG Using Hybrid of Adaptive Neuro-Fuzzy Inference System and Mathematical Model, The Journal of Supercritical Fluids. 82(0): 158-167 (2013). Yetilmezsoy K., Fingas M., Fieldhouse B., An Adaptive Neuro-Fuzzy Approach for Modeling of Water-in-Oil Emulsion Formation, Colloids and Surfaces A: Physicochemical and Engineering Aspects, 389(1–3): 50-62 (2011). Moon J.W., et al., Comparative Study of Artificial Intelligence-Based Building Thermal Control Methods – Application of Fuzzy, Adaptive Neuro-Fuzzy Inference System, and Artificial Neural Network, Applied Thermal Engineering, 31(14–15): 2422-2429 (2011). Varol Y., et al., Prediction of Flow Fields and Temperature Distributions Due to Natural Convection in a Triangular Enclosure Using Adaptive-Network-Based Fuzzy Inference System (ANFIS) and Artificial Neural Network (ANN), International Communications in Heat and Mass Transfer, 34(7): 887-896 (2007). Rahman M.S., Rashid M.M., Hussain M.A., Thermal Conductivity Prediction of Foods by Neural Network and Fuzzy (ANFIS) Modeling Techniques, Food and Bioproducts Processing, 90(2): 333-340 (2012). Van Weert G., Van Der Werff D., Derksen J.J., Transfer of O2 From Air to Mineral Slurries in a Rushton Turbine Agitated Tank, Minerals Engineering, 8(10): 1109-1124 (1995). Guillard F., Trägårdh C., Mixing in Industrial Rushton Turbine-Agitated Reactors under Aerated Conditions, Chemical Engineering and Processing: Process Intensification, 42(5): 373-386 (2003). Yapici K., et al., Numerical investigation of the Effect of the Rushton Type Turbine Design Factors on Agitated Tank Flow Characteristics, Chemical Engineering and Processing: Process Intensification, 47(8): 1340-1349 (2008). Taghavi M., et al., Experimental and CFD Investigation of Power Consumption in a Dual Rushton Turbine Stirred Tank, Chemical Engineering Research and Design, 89(3): 280-290 (2011). Wu H., Arcella V., Malavasi M., A Study of Gas–Liquid Mass Transfer in Reactors with Two Disk Turbines, Chemical Engineering Science, 53(5): 1089-1095 (1998). Ochieng A., et al., Mixing in a Tank Stirred by a Rushton Turbine at a Low Clearance, Chemical Engineering and Processing: Process Intensification, 47(5): 842-851 (2008). Nienow A.W., Gas-Liquid Mixing Studies: A Comparison of Rushton Turbine with Some Modern Impellers, Trans, IChemE, 74: 417-423 (1996). Van't Riet K., Smith J.M., TheBehaviors of Gas-Liquid Mixtures Near Rushton Turbine Blades, Chemical Engineering Science, 28: 1031-1037 (1993). Van't Riet K., Boom J.M., Smith J.M., Power Consumption, Impeller Coalescence and Recirculation in Aerated Vessels, Chemical Engineering Research and Design, 54: 124-131 (1976). Warmoeskerken M.M.C.G., Smith J.M., The Hallow Blade Agitator for Dispersion and Mass Transfer, Chemical Engineering Science, 67: 193-198 (1989). McCulloch W.S., Pitts W., A Logical Calculus of the Ideas Immanent in Nervious Activity, Bulletin of Mathematical Biophysics, 9: 127-147 (1943). Duranton M., Image Processing by Neural Networks, Micro IEEE, 12-19 (1996). Marinai S., Artificial Neural Networks for document Analysis and Recognition, IEEE Transactions on Pattern Analysis and Machine Intelligence, 7: 23-35 (2005). Zhenyuan W., Yilu L., Neural Network and Expert System Diagnose Transformer Faults, IEEE Computer Applications in Power, 12: 50-55 (2000). Abu-Mostafa Y.S., Financial Model Calibration Using Consistency Hints, IEEE Transactions on Neural Networks, 12: 791-808 (2001).